An absolutely essential part of every marketing campaign is Promotional Products. They are especially great to reach as many potential customers as possible with your marketing idea and to stand out among the many advertising campaigns from your competitors. Promotional gadgets are therefore amazing to use to increase brand awareness and product recognition. This power bank with an additional solar panel for example is an amazing gadget. 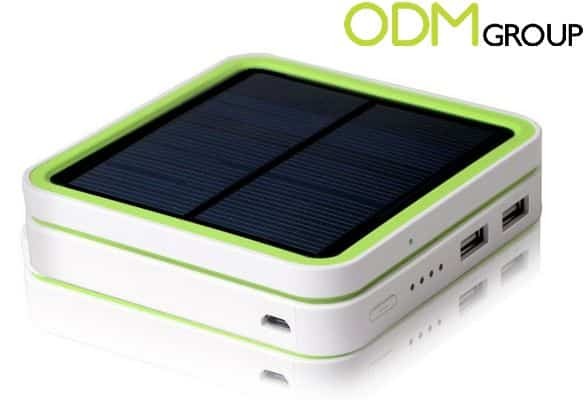 Promotional Gadget: Power Bank with stackable Solar Panel. Why use a promotional gadget for your marketing? One of the most important matters when using the right promotional product is the branding space. This promotional gadget offers a great branding space on the side to print your logo or your artwork on it. Besides, the interaction with such a power bank is very high. Every owner of a smartphone will be happy to get a power bank and will therefore use it many times. This way a branded logo on the cover will surely increase brand awareness. 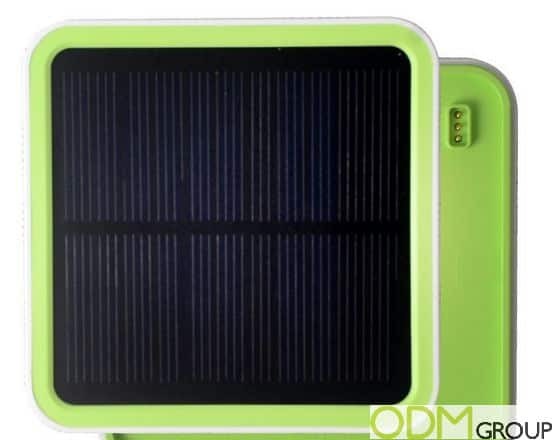 The additional solar panel which is stackable to to top will give you the chance to promote your brand in a unique way. How can you use a power bank with solar panel? There are several possible ways to use this amazing promotional gadget. If your target is to increase popularity of your brand, you can give them away for free during exhibitions or for example as part of a guerrilla marketing campaign. Another way to offer this power bank is as a redemption gift or on pack gift, to raise your in store sales as well as enhance your product recognition. If you want to improve your customer retention, you can offer these power banks with a stackable solar panel as branded merchandise in your stores or in your online shop. All in all products like this promotional gadget are great to use to promote your business. If you want to learn more about how they can benefit your business, feel free to contact us at the ODM Group.